Pattern mixing is still a thing, right? Please don't correct me if I'm wrong since I'm still loving it. 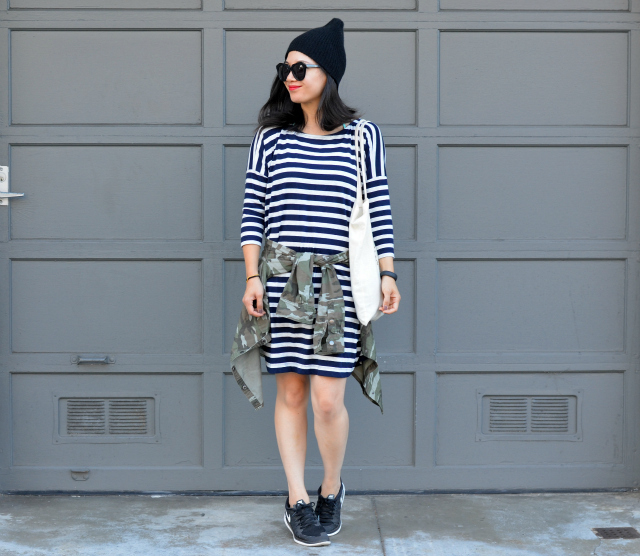 Stripes and camo is a good thing. I think it's safe to say that it's still a thing but then again I am always behind the times on "things". 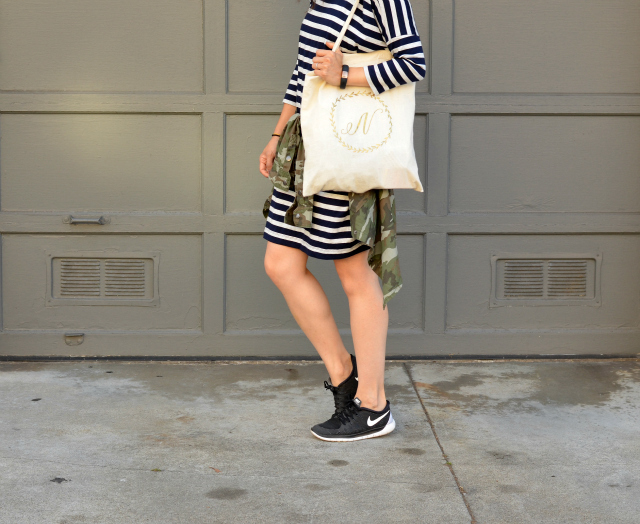 #idowhatiwant LOL I do love the stripes and sneakers! I really love the print mixing! Such a fun outfit on you! I don't know if it's still a thing but who cares because this outfit is so bomb. I love how the camo breaks up the black and white stripes! Well you know I love mixing prints. Kind of loving those shoes you're sporting. In love with this look you put together here, looks gorgeous! Sure why not! I think it looks great together. I am gonna yes since I still pattern mix all the time. Love the sporty look! I want to be wearing this whole outfit right now! I'm loving this look, Nancy! The stripes and camo look perfect together and pattern mixing never goes out of style in my book :) I hope you have a wonderful day and start to your weekend, beauty! I love stripes and everything with them! Great outfit sweetie! I love the mix of these two patterns. They look great together. I love the whole casual chic look of this outfit. You look great! I'm all about pattern mixing! Sometimes in the morning I just throw stuff on and end up mixing florals and stripes without even realizing it! Absolutely LOVE a good striped dress! Looks fabulous on you..and yes print matching it still very much a thing, so you keep rocking it! I've never been a fan of camo but mixing the styles work! 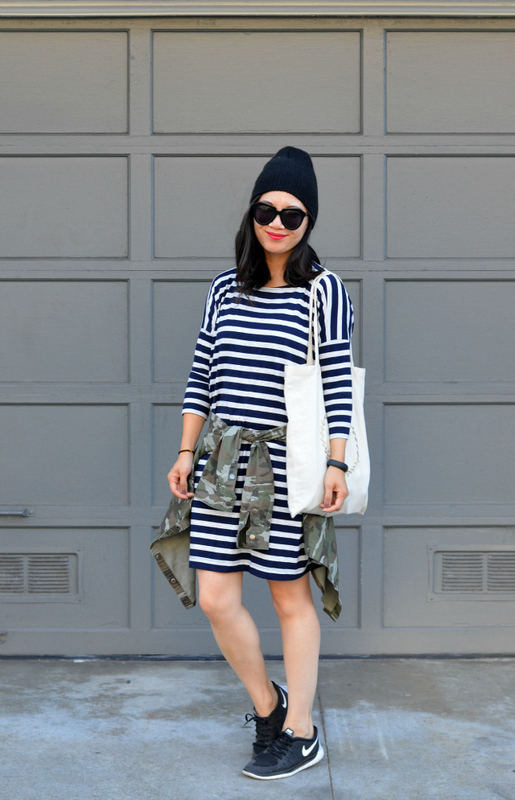 Stripe dress looks great on you. The camo give the special touch! Love it! I hope pattern mixing is still a thing! 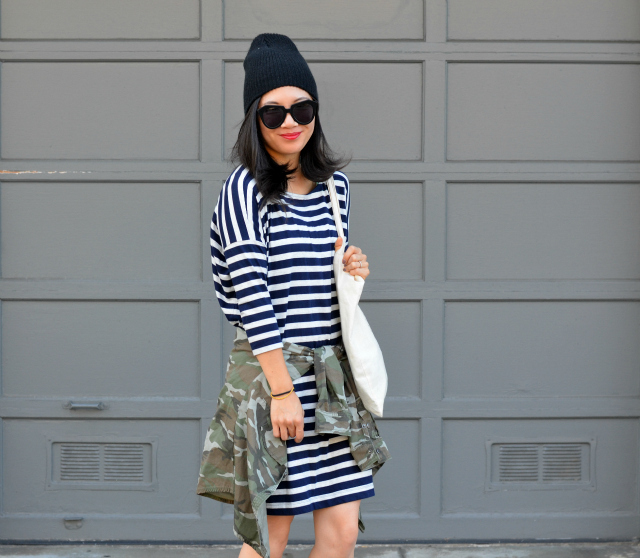 I love the stripes + camo mix. Super cute dress too! Simple yet chic style!! Love it! Oh i love this striped dress so much!! With the added pattern of camo… yes!! Prints on prints is always chic in my opinion :)! 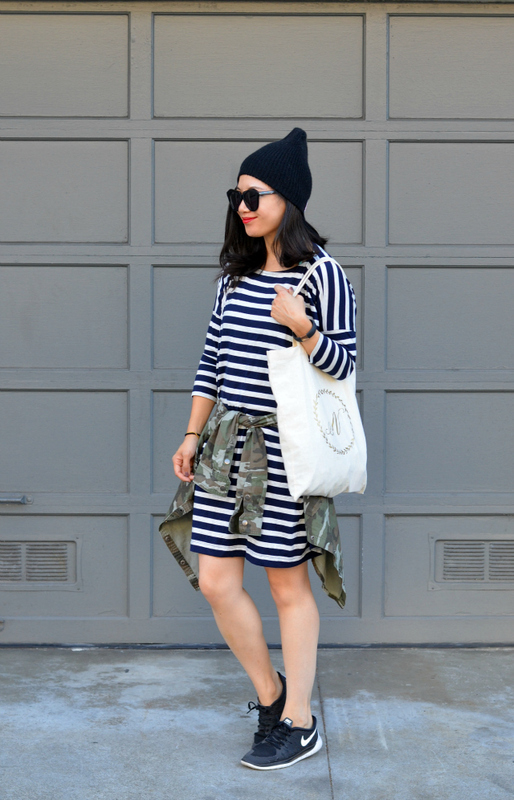 Love how you pair stripes with cameo! You look amazing! I have to tell how much I love this look on you! ah i love that dress shirt! !